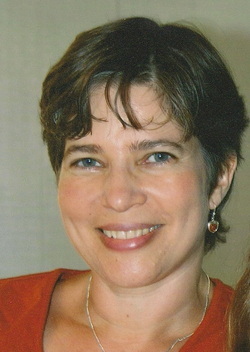 Deborah Freedman Lustig is the Assistant Director at the Institute for the Study of Societal Issues (ISSI), UC Berkeley. Lustig earned her Ph.D. in anthropology from the University of Michigan. Her research has focused on gender, education, and youth violence in the United States and Kenya, where she was a Fulbright Senior Scholar in 2004-5. Her recent article on Kenyan women university students who have children was published in the Gendered Perspectives in International Development Papers series. Her research on teenage mothers has been published in the journals Anthropology and Education Quarterly and Childhood and in Childhood, Youth, and Social Work in Transformation: Implications for Policy and Practice (Columbia University Press, 2009). Her research on risk and violence among young adults coming of age in Oakland, California has been published in Children and Youth Services Review and in the edited volume Education and the Risk Society: Theories, Discourse, and Risk Identities in Education Contexts (Sense Publishers 2012) and is available here. She is on the board of Six Seconds, and she volunteers for the African Library Project and as a Court-Appointed Special Advocate (CASA) for a child in foster care.